Join us this week as we welcome country music duo, Morgan and Sara. Hailing from Columbus, TX and Mobile, AL, the duo met when Sara taught Morgan guitar lessons. The two quickly became best friends and realized they had the same musical aspirations, including moving to Nashville in the future. 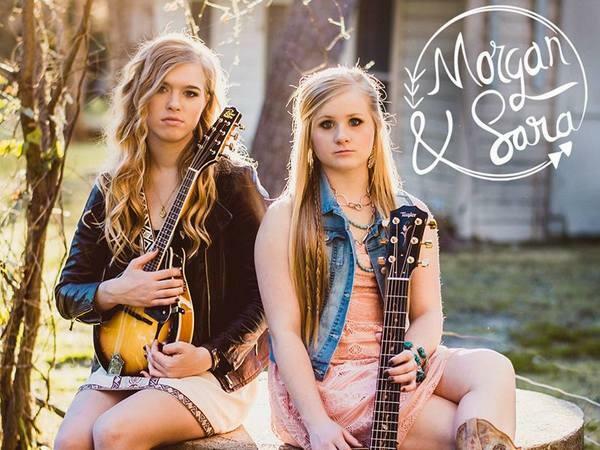 Morgan and Sara play all around Texas and will be on tour this summer stopping in Nashville, Memphis, and New Orleans. When the girls are not playing, you may find them working behind the counter at Starbucks…some fans have even coined them “the singing baristas.” Morgan and Sara are avid songwriters and they draw influence from artists including Miranda Lambert, Rae Lynn, and Taylor Swift. Their self-titled EP was released on April 30, 2015 and features four original songs written by the duo. We will talk to Morgan and Sara about their upcoming schedule, get a behind the scenes look at their music, feature their latest songs, and ask them to share their message for the troops. Please be sure to visit Morgan and Sara at http://www.morganandsaramusic.com/ and spread the word. Fans are welcome to call in and speak live with Morgan and Sara during the show (718) 766-4193. If you would like to participate in the live chat during the show, you must sign up on the show site first and then log in during the show. And as always we will give shout outs to our deployed military listeners. Be sure to join us, Sunday 9/13/2015 at 4 PM EDT! Our message to the troops: WE do what we do, because YOU do what you do.